Divoti Braided Genuine Leather Medical Alert Replacement Bracelet features comfy, functional and stylish design. This bracelet is sure to make your current medical ID tag look more fashionable. Bolo Braided genuine leather chain w/ all metal parts are made of stainless steel and comes with size options 4.5-6.5 inches. If Genuine leather gets excessive water and soaked, it distorts the leather fibers and is irreparable. All leather medical bracelets should be removed before showering or water activities. 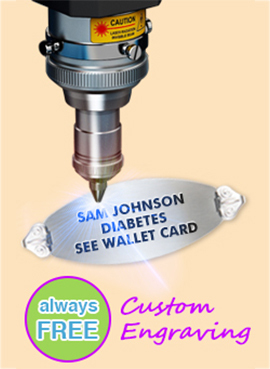 Please check our our large selections of custom engraved medical ID tags. 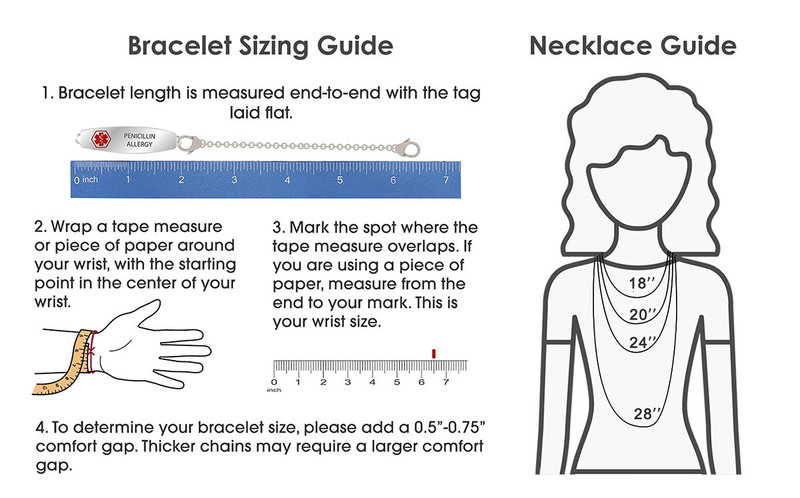 We offer free custom engraving and combo deals on our complete custom engraved medical alert bracelets. Please check them out on Amazon. CHAIN MATERIAL: Bolo Braided genuine leather chain w/ all metal parts are made of stainless steel and comes with size options 4.5-6.5 inches. If Genuine leather gets excessive water and soaked, it distorts the leather fibers and is irreparable. All leather medical bracelets should be removed before showering or water activities.